PALM is an ongoing project, initiated during the founding year of U5 more than ten years ago. When the members of U5 started their collaborative work a camera was installed in their basement studio. The camera surveying the studio space sent a live stream to a webpage which gave each member the opportunity to observe and respond to each other's way of working. The camera accompanied the collective from their first workspace at the Zurich University of the Arts to all their following studios. 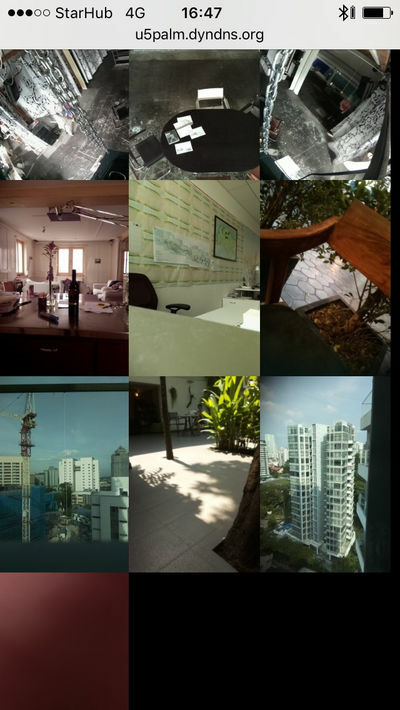 The project has developed very slowly over the years. Nevertheless, an incredible amount of data has already accumulated during this time. During the last years the number of cameras increased. 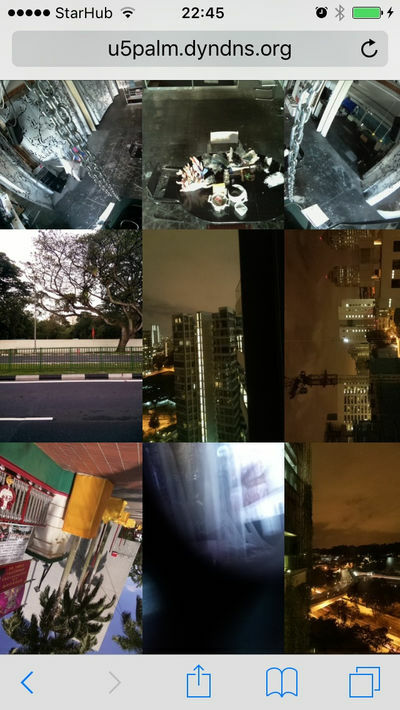 In 2015 the collective went to Singapore, which required mobile cameras that accompany each member of the collective in their daily life ever since. Meanwhile 25 cameras are in use and distributed to various people in various countries. If a camera is not connected to the internet the camera stores the pictures recorded. They are uploaded and streamed at the next occasion when internet access is available. The streams can be accessed via the webpage of the collective (see: http://palm.92u.ch). PALM has been part of several exhibitions, among others at the Helmhaus Zürich and the Kunstmuseum Bern. Increasingly, we perceive our environment through the detour of digital media. PALM automates this detour without generating clearly usable data. 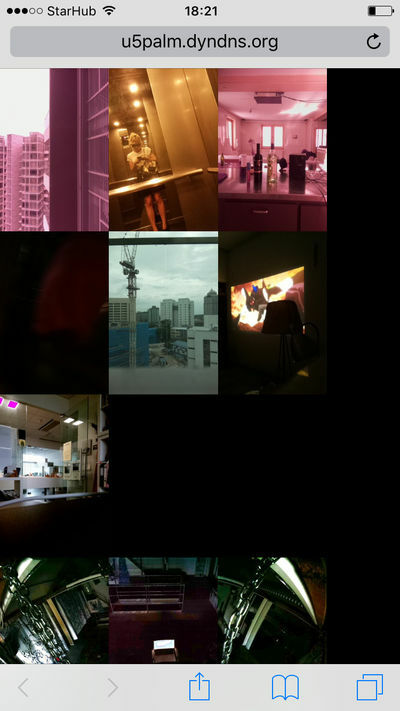 PALM deals with questions of contemporary photography, everyday documentation, control and chance, surveillance and self-portrayal. PALM images are haikus. PALM is the catharsis of social media. PALM is a scientific instrument. 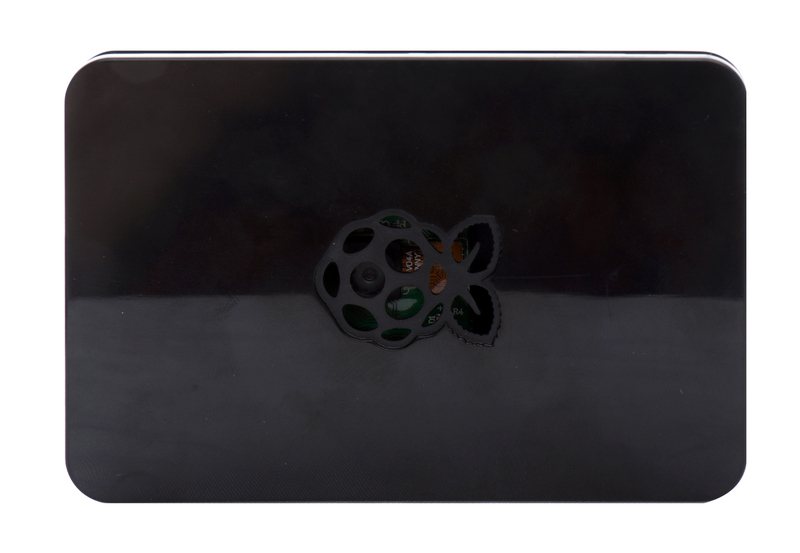 Based on a Raspberry Pi's, U5 has developed a small portable live camera (PALM camera). The PALM camera has neither viewfinder nor display nor controls. By plugging the camera into a battery-pack it starts taking pictures. The camera takes a picture independently and uncontrolled every two seconds. With a clip attached to a piece of clothing or a bag, the camera becomes a constant companion wherever we move: in the train, in the office, on the mountain, at the airport or in the living room. The images are automatically transmitted to a server via a wlan connection and are published on our platform http://palm.92u.ch. 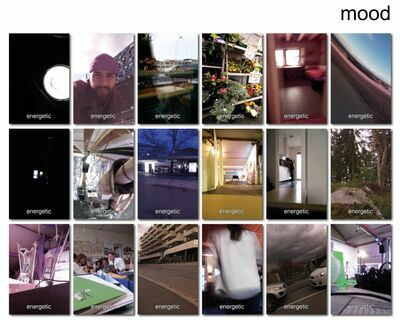 The platform unites the streamed images of the cameras and offers possibilities for interaction. All images remain visible to the users (viewers) of the platform in real time, after which they disappear from the public area. 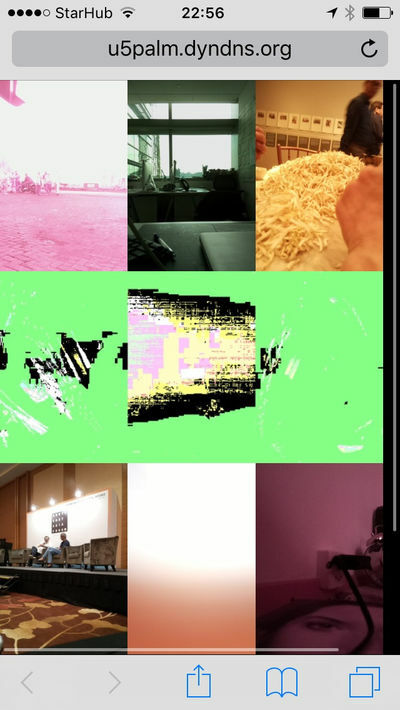 Anyone can "watch PALM": LIVE via the website http://palm.92u.ch. Pictures cannot be paused. You will miss or catch "the moment", in between everyday life unwinds in its normality. There is the possibility for viewers to highlight individual images by adding a mood designation, a "MOOD", to the images. 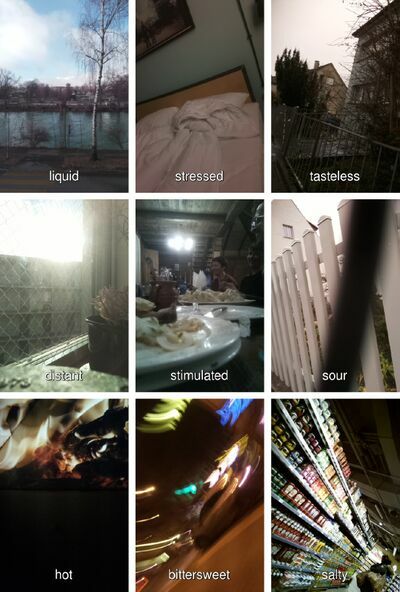 The viewer selects the stream of a PALM camera and clicks on the "MOODS" option. 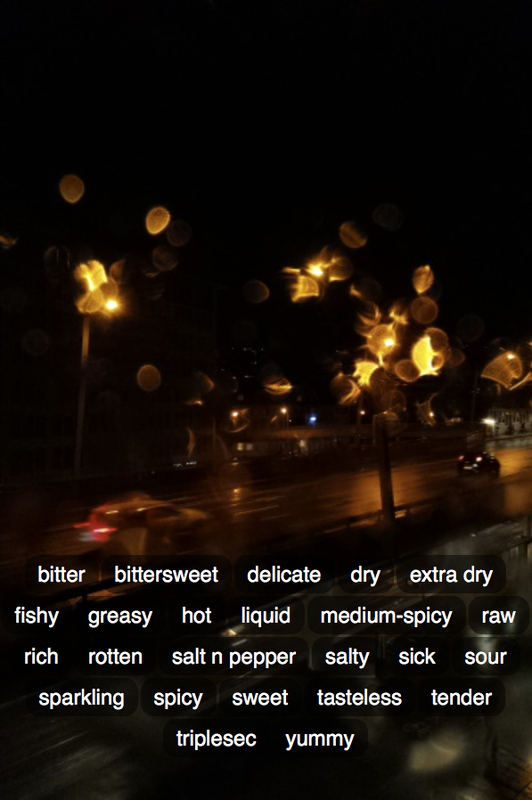 A preset selection of moods will appear above the camera stream. If the viewer selects a MOOD (such as "sleepy" or "angry"), this word appears as a subtitle on the image that was current at the time of selection. The image will then be stored with the subtitle in the public archive. The PALM camera has neither viewfinder nor display nor controls. Camera and shutter release are spatially separated from each other. The narration is created in the projection between transmitter and receiver. 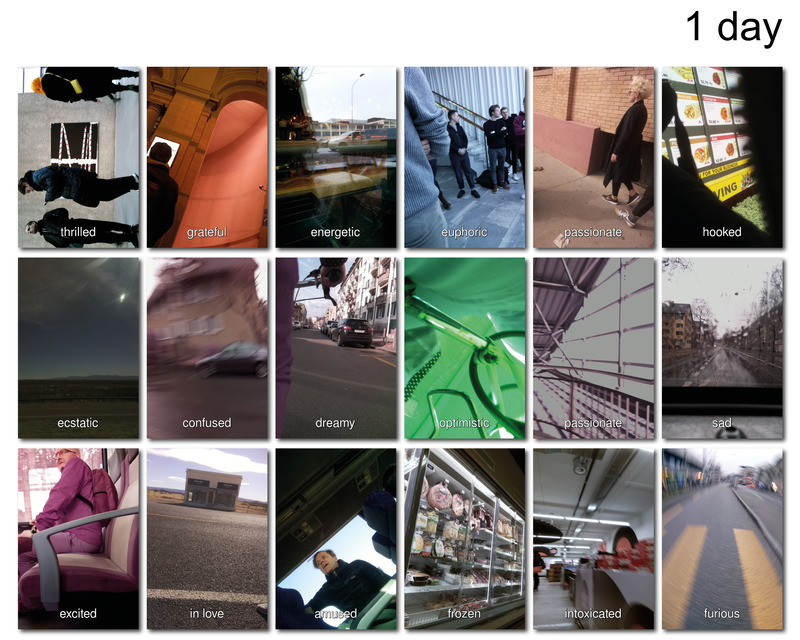 On the PALM platform, it is as if one could look through viewfinders of cameras that do not belong to one, from which one cannot influence the location and the image selection. The camera owner can concentrate more on reality again, since the camera takes over the job of photographing. The way it works is simple and yet digital photography and digital film become something completely different here. The way we deal with pictures and look at them is changed, manipulated and brought into a new constellation. The viewer or photographer on the screen can discover something unexpected every second in the viewfinder. But nothing significant can happen for a long time and everyday life passes away in its banality, in the rhythm of the stakkato pictures. PALM is not a platform on which selected highlights are published and unlike surveillance cameras, you do not get clear information about the location or movement of the cameras. 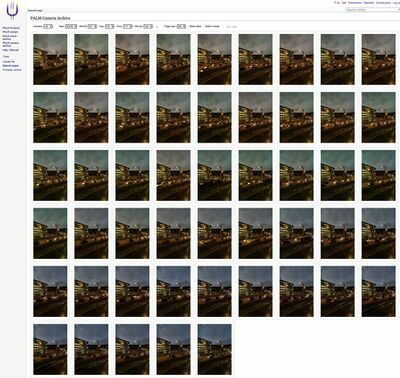 Another decisive difference to other portable cameras and social media platforms is that the images are uploaded to the net constantly, unprocessed and uncurated. We deliberately refuse the tracking function because the context of PALM is supposed to be ambiguous. PALM should be ambiguous. The mass of data that PALM can generate is only resistant at second glance. All of us are constantly collecting data, even if we are not online. "The only way not to go completely into the net of total surveillance and para- noia is to deal extensively with the technologies. The more useless or unambiguously usable data we all send, the greater the blur effect and the obfuscation in the positive, i.e. protective sense.". (paraphrased after Armen Avenassian). After this pointed statement, we ask ourselves: Is it even possible to produce unusable data? PALM processes images in the order of several hundred thousand per day. If enough cameras are in operation, a kind of fragmentary, poetic puzzle emerges. Such a data collection could also be used scientifically with suitable means. 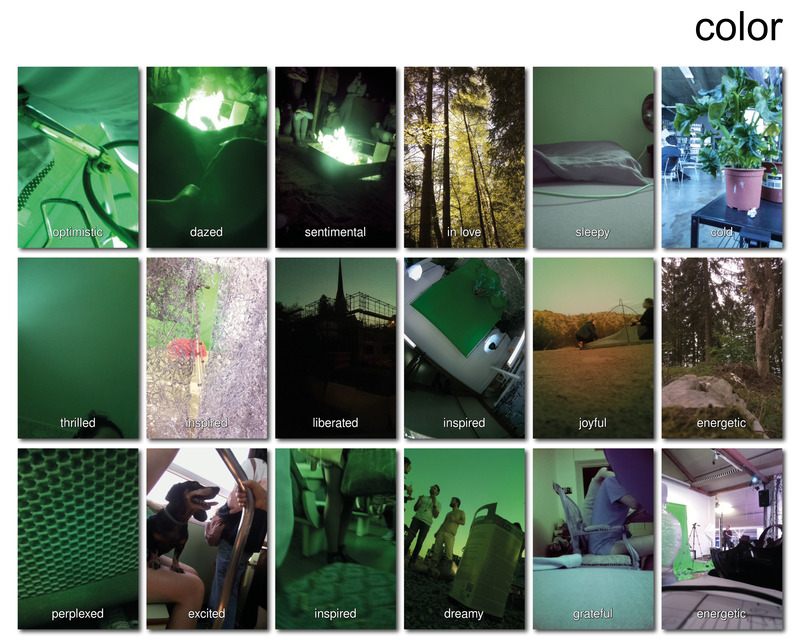 Through image processing, information from individual images could be brought into context. For example, it could be possible to reconstruct places for anthropological or forensic purposes, to create maps or trace a process. All images streamed are archived. 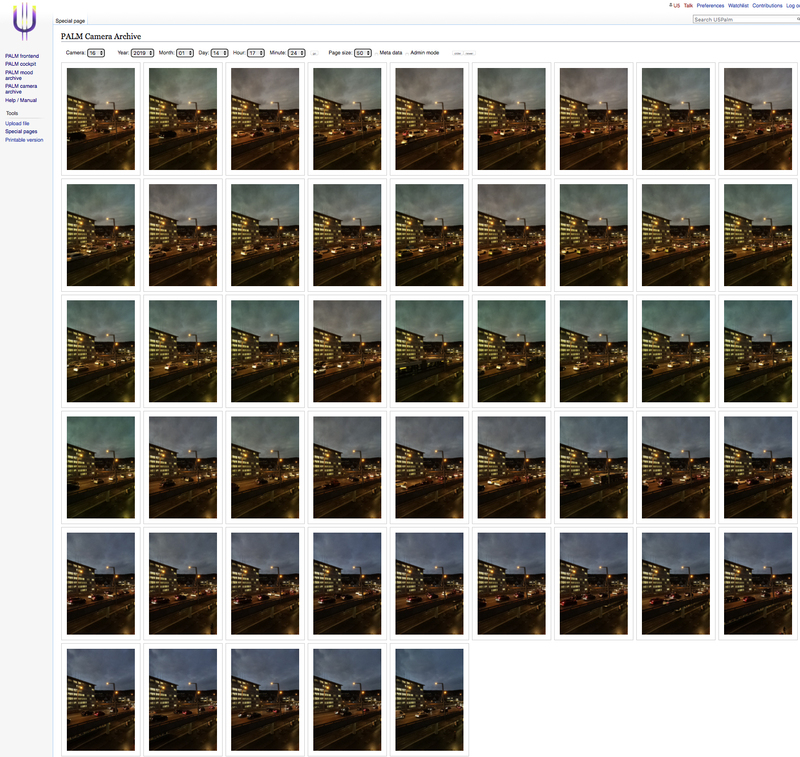 This non-public archive contains several millions of images. Currently we are experimenting with this data archive. 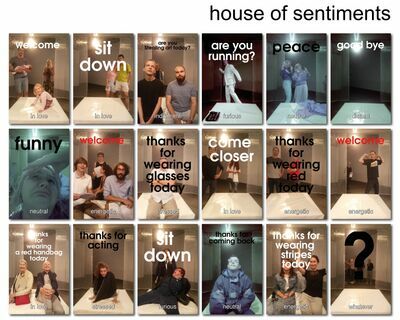 We arrange, sort and select images in various ways to create new combinations and narratives.